Editorial - On gambling news - Casino Inside - The gambling industry magazine! In this edition we have a lot of exciting topics that will surely awaken your interest, especially as they look at gambling news. In our Cover Story we find one of the leading operators in our field. 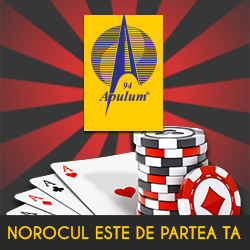 The Jack Ploiești gaming room was designated last year by our magazine as the best gaming room outside the capital. In 2018 they prepared a few promotional campaigns with sensational prizes, repaying the loyalty of customers who trust in the quality of the services we offer, but also of the top generation gaming means that they find here each time. The total prizes prepared by The Jack Ploiești this year exceed the value of RON 1,500,000! Learn more about the 2018 Campaigns and the surprises prepared by The Jack Ploiești by reading the material dedicated to them. Another material that we strongly recommend to you is about another winner of ours, Game World Bucharest Mall. The largest Eastern European gaming room continues to be a destination for great fun and to diversify the attractions and entertainment options offered to its guests. For example, during 2017, customers of this emblematic gaming room were invited to have fun at no fewer than 56 themed parties involving various shows, decors and culinary dishes, organized with professionalism and enthusiasm by Game World Bucharest Mall. For 2018, they are preparing many other memorable marketing campaigns that will dazzle us, especially since this location will go into its 20th year of operation. One year after having left her managerial position in the National Office for Gambling (ONJN), we believed it was opportune to once again have in the pages of our magazine the president of the institution, Odeta Nistor. Now we have the chance to find out more of her opinions with regards to what is happening on the market, the projects she was involved in, including that regarding the approval of source-based taxation of earnings from gambling and on-line betting, her future plans and many more. We are sure that you remember that on December 7, 2017, the National Supervisory Authority for Personal Data Processing held a presentation at the professional gambling business event organized by the Casino Inside magazine – RPG 6, where issues were debated with regard to the conditions for the processing of personal data by private legal entities in this field as operators in the context of the (EU) Regulation 2016/679 on the protection of individuals with regard to the processing of personal data and on the free movement of these data and repealing Directive 95/46/EC. Our intention is to start a series of GDPR articles to provide you with as much information as possible on this topic. We considered that we should first provide you with as much information as possible about the Personal Data Protection Officer that you should appoint. The (EU) Regulation 2016/679 on the protection of individuals with regard to the processing of personal data and on the free movement of such data and repealing Directive 95/46/EC (General Data Protection Regulation) is to be applied in all Member States of the European Union as of May 25, 2018. Not long from now, the provisions of this legislation will have to be applied to our entire field.